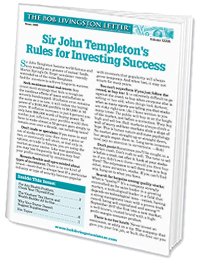 Sir John Templeton became world-famous and very wealthy as a pioneer of mutual funds. Enter your first name and email address in the boxes below and then click “Get My Free Issue” and a download link will be sent to you immediately. Your personal information is as important to us as it is to you. We will never rent, sell or trade your personal information with anyone. You may opt out of Bob Livingston Alerts™ at anytime. It has been and is used by many prominent and well-connected people, as well as major businesses. Walt Disney Co. and McDonald’s were started with the help of the strategy. But this hidden wealth builder is just as readily available to you. How recent events made the strategy more attractive than it has ever been. Why it’s a good way to build your estate. The hidden way to earn safe, steady tax-free returns of 5 to 8 percent on your cash. NO worries about market risk. The smartest way to have tax-free cash available whenever you need it. 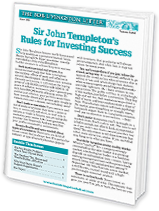 If you or someone you love is at financial risk, requesting this FREE issue of The Bob Livingston Letter™ is essential. Also free with your free issue is my new e-letter, Bob Livingston Alerts™. Each Bob Livingston Alert letter you receive will reveal what’s going on behind the scenes in our society… the stories the elites and their mouthpieces in the mainstream press don’t want you to know — important issues like forbidden cancer cures. But most of all you get a bracing blast of independent thought… a skeptical look at conventional wisdom… a willingness to question authority… a tough-minded commitment to freedom and individual choice… and a voice of reason!